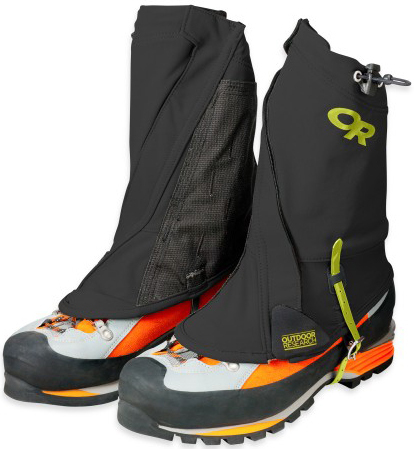 Like Crocs with even thicker skin, the burliest gaiters we make are designed to function on extended mountaineering trips, in cold weather and in extreme conditions. 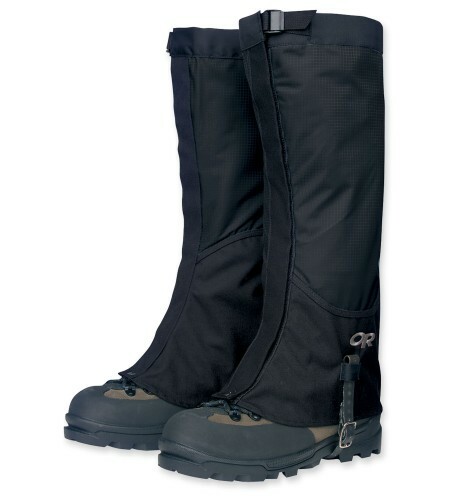 The large circumference provides more room for plastic mountaineering boots and heavily insulated pants, and the inside leg of each gaiter is made of durable Cordura® fabric to prevent crampon snagging and puncturing when you're high in the mountains. 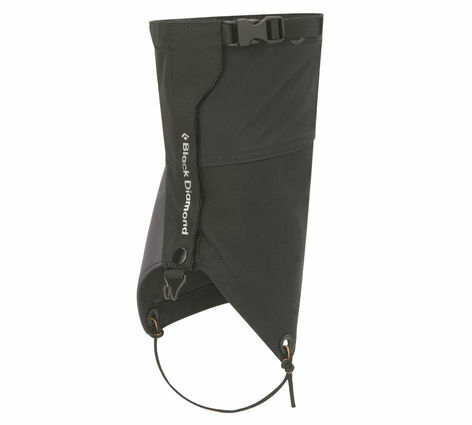 Rugged, durable and Backpacker® Magazine award-winning protection for hiking and mountaineering. 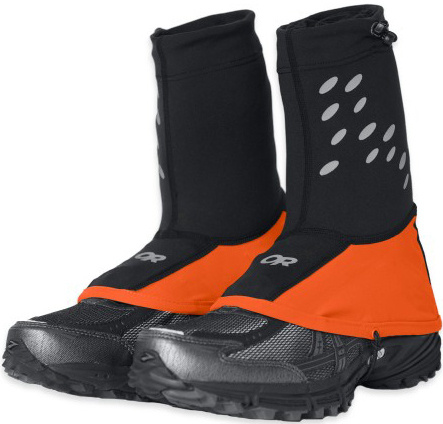 Like their namesakes, Crocs have been around forever. 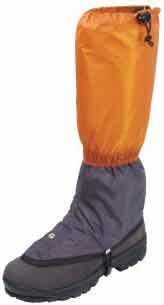 And because they're tough as nails, they've hardly changed. The instep strap is replaceable, and an additional tab holds the front opening down, but otherwise they remain as they were when they first appeared. 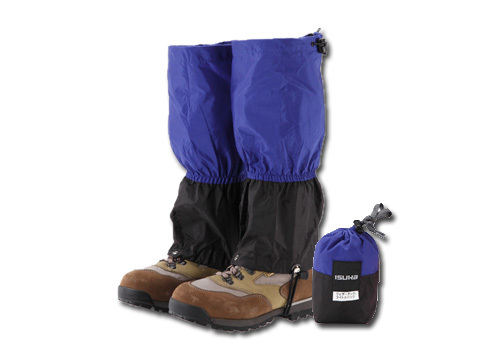 The fitted design and durable, waterproof fabrics are as effective now as ever. 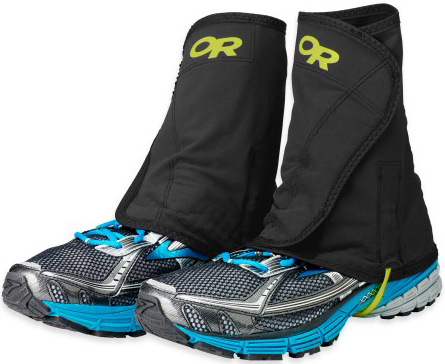 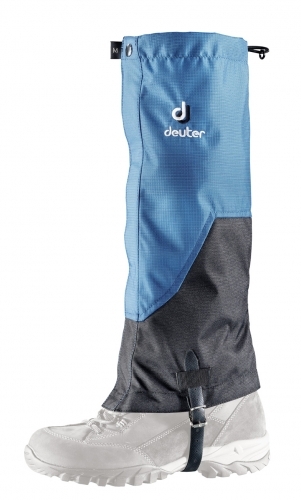 A lightweight, durable and protective all-mountain gaiter. 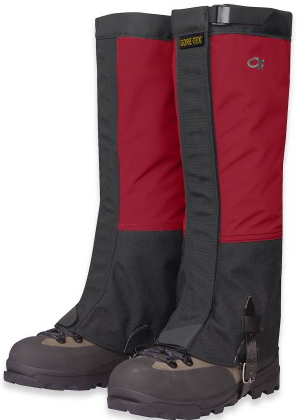 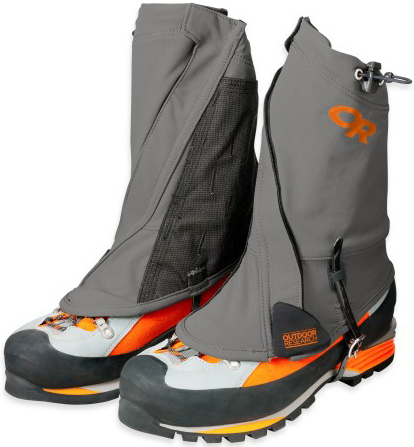 We put our award-winning Crocodiles on a diet, and the Verglas Gaiters™ were the result. 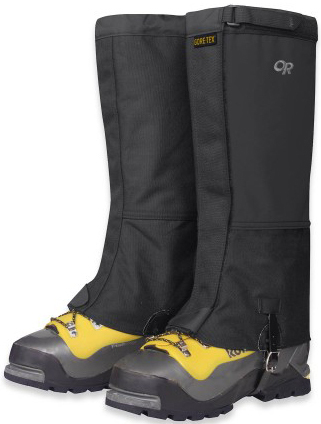 Designed to be lighter and easily packable, the Verglas Gaiters™ are built with durable Ventia Dry™ waterproof/breathable fabric while retaining the performance fit the famous Crocs. 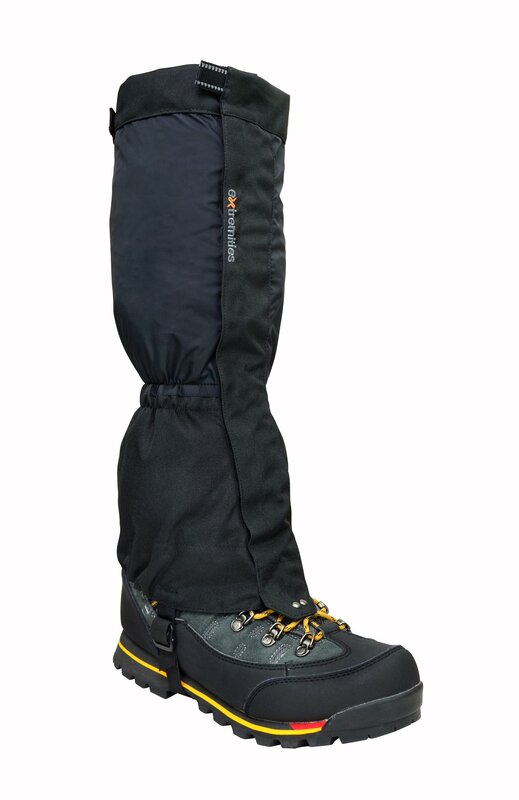 The Endurance Gaiters™ are lightweight and protective soft shell gaiters built to provide plenty of stretch for athletic movement in the mountains. 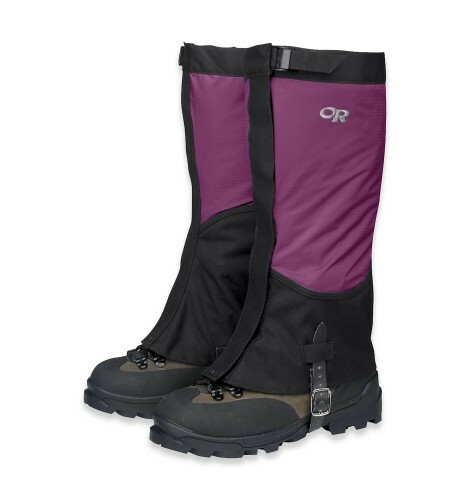 A step-in, zip-up design allows for easy on and off in treacherous terrain, and abrasion-resistant kick panels protect ankles from errant crampon spikes. 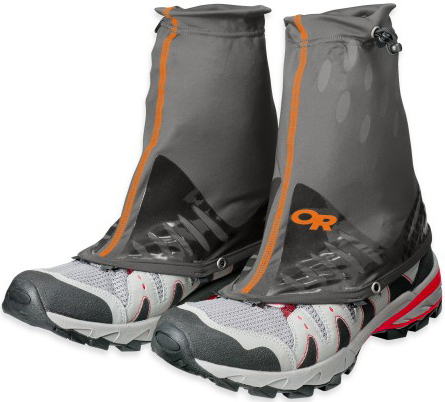 Inspired by the test product designed for an Abu Dhabi Adventure Race team, the Ultra Trail Gaiters™ provide the protection, stretch, breathability and highly mobile performance demanded by elite fast-packers and trail runners. Running on wet or snow-covered trails can pack your shoes and socks with ice or dirt in a hurry. 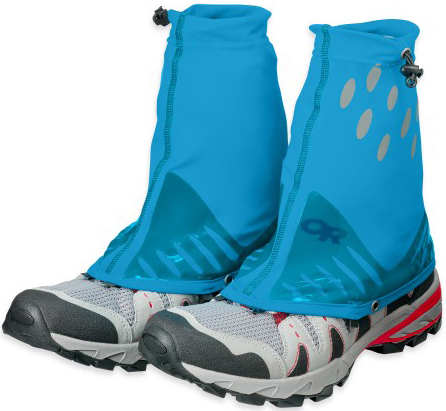 The lightweight Stamina Gaiters™ easily attach to most running shoes and keep trail crud where it belongs: on the ground. 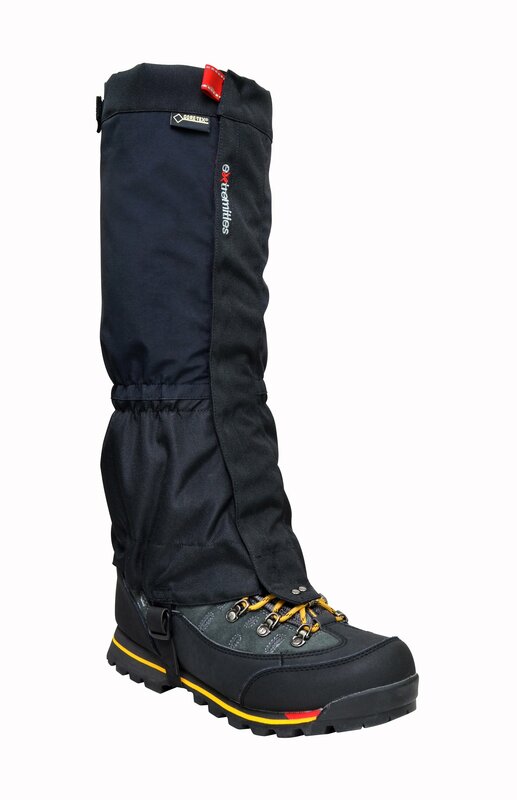 Silicon panels on the lightweight, durable stretch fabric body shed snow and water. 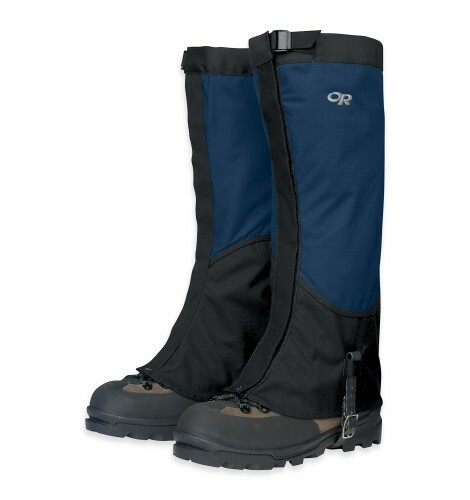 For days when you're unsure if you'll be crossing snowfields on the approach, toss the Wrapid Gaiters™ into your pack and rest assured your feet will stay dry on the hike up. 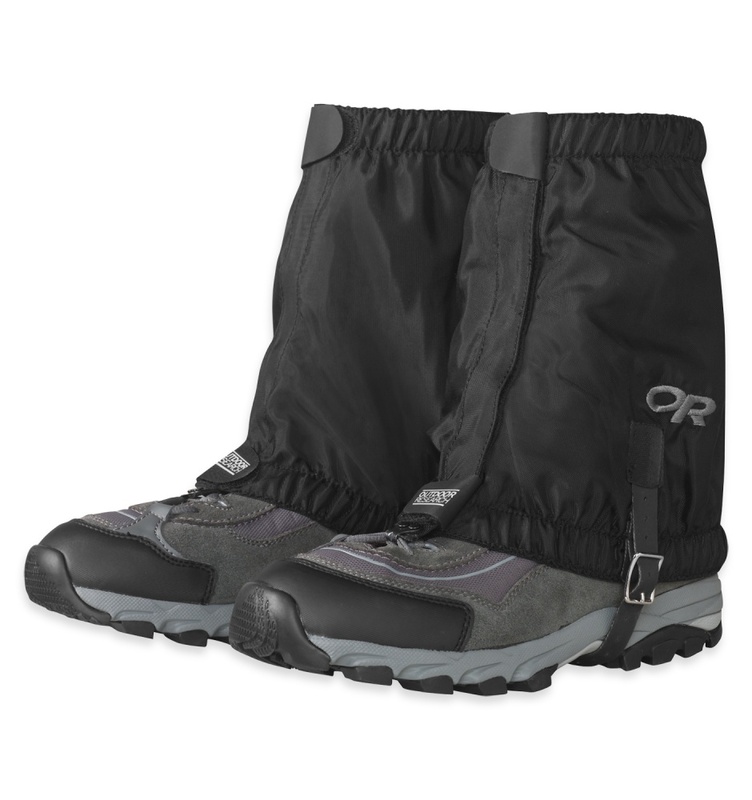 Built with a water-resistant soft shell fabric, they're super-packable and versatile enough for all your adventures. 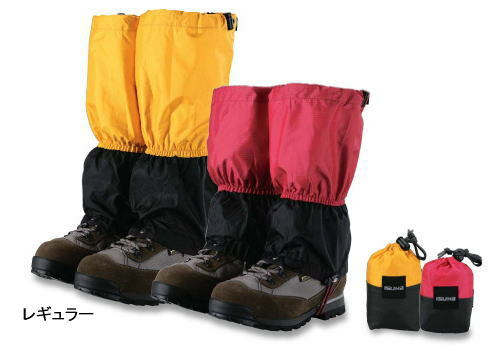 Durable, traditional packcloth construction and a no-bulk low-top design provide all-season performance with the Rocky Mountain Low Gaiters. Pair these lightweight gaiters with hiking boots or cross-country ski boots to keep rocks, dirt and light snow from finding its way into your footwear. 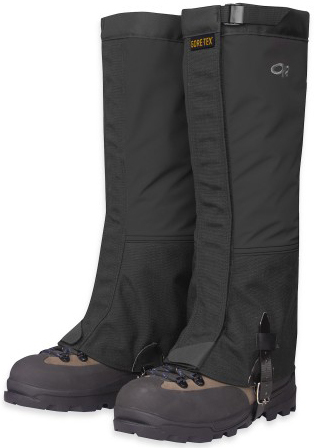 A full-height gaiter built with three-layer waterproof breathable GORE-TEX fabric, the Black Diamond Apex excels at cold, wet-weather pursuits like ice climbing, mountaineering and skiing. A welded abrasion guard holds up against crampons and ski edges while the durable, neoprene-coated instep strap keeps the gaiter securely fitted. 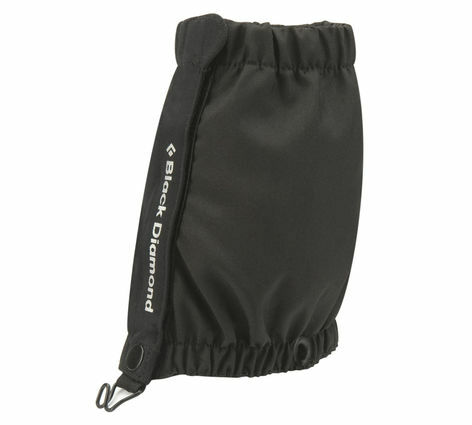 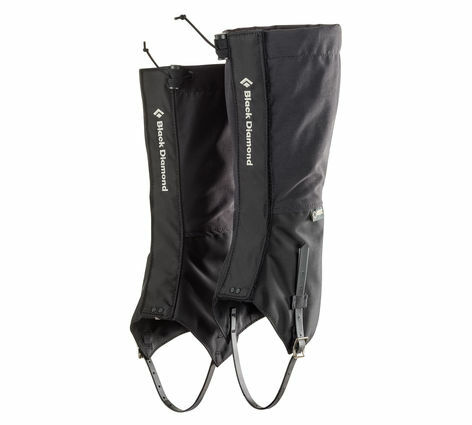 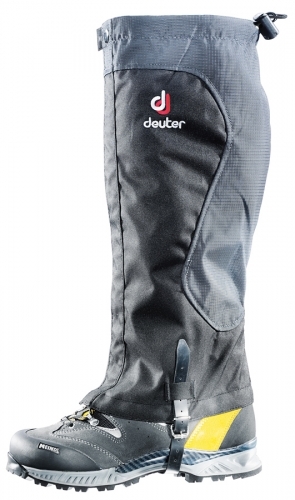 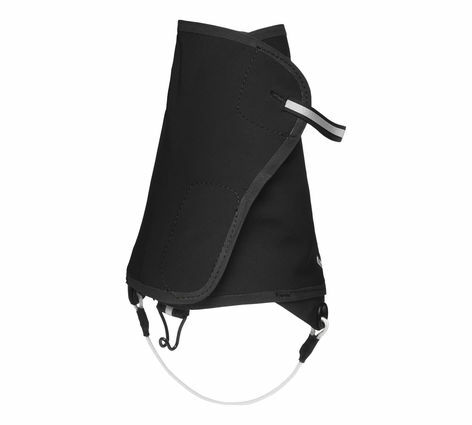 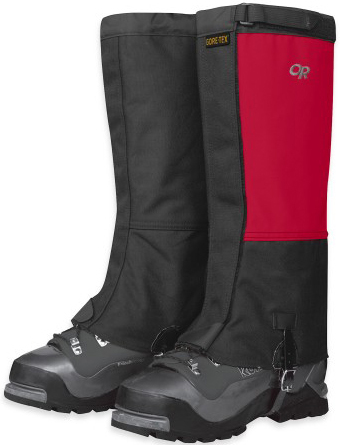 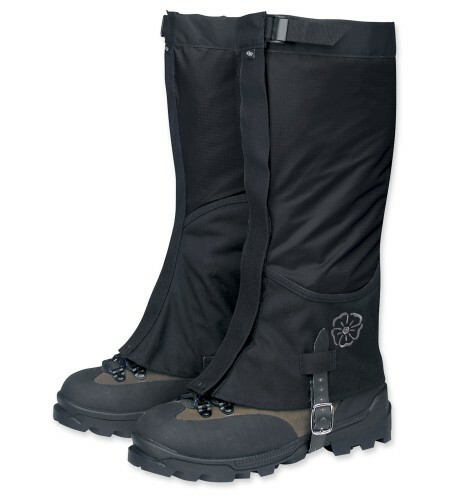 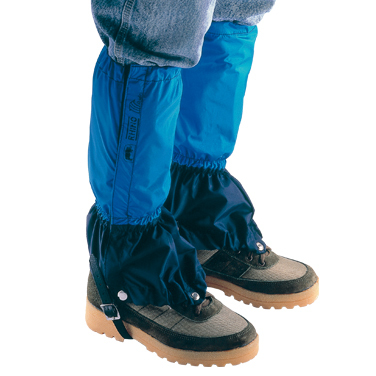 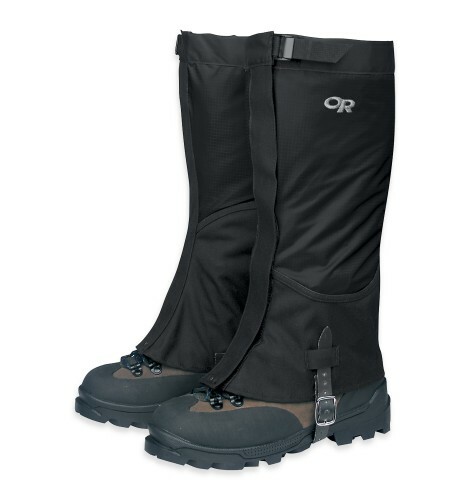 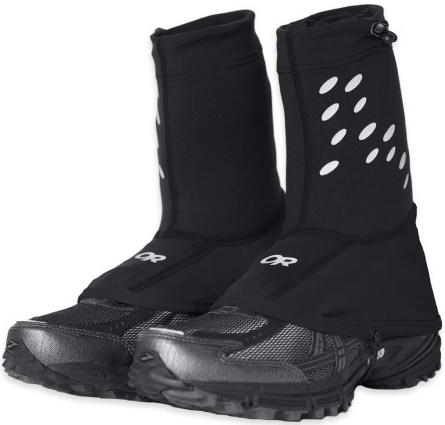 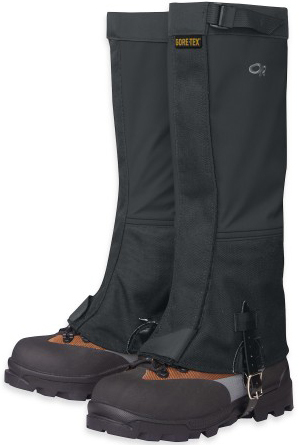 Waterproof and breathable eVent® gaiter for use with lower volume boots for general use. 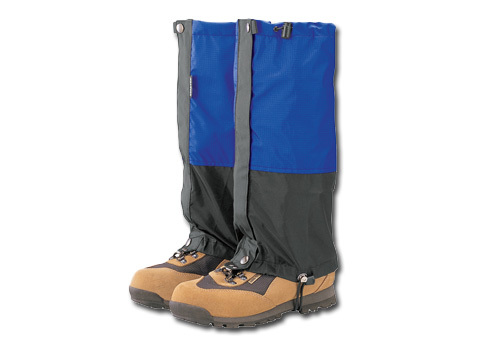 Size:16 x 0 x 0 (H x W x D) inches /40 x 0 x 0 (H x W x D) cm.